The first line in the book "No social being is less protected than the young Parisian girl - by laws, regulations and social customs" pretty much sums up the circumstances in which the van Goethem sisters lived. I'm not a fan of ballet and due to a horrible experience in Paris twelve years ago, I'm even less a fan of anything French. So, I struggled with those aspects of the story. I still fell in love with all three of the sisters and was really hoping they would rise about their inevitable fate. 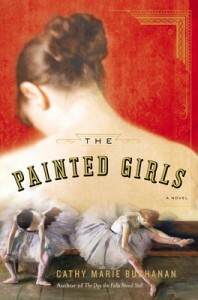 If you like historical fiction based on actual people and events, then you will probably like this book.